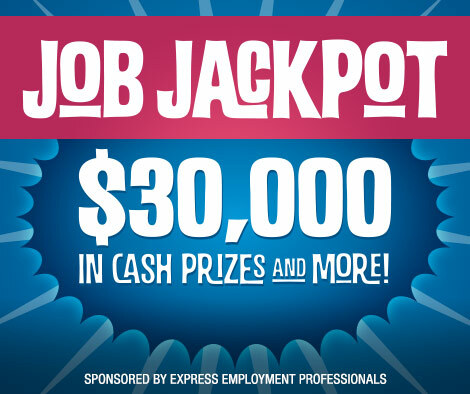 Congratulations to Our Next Round of Job Jackpot Winners! At Express Employment Professionals, we know our associates are what make us successful, and we’re privileged to have put more than 500,000 people to work in 2015. To show our thanks, we’re awarding 30 associates $1,000 each in our new sweepstakes, Job Jackpot. As part of Job Jackpot, associates are given a scratch-off ticket. Game pieces can be returned to participating Express offices to be entered into a grand prize drawing to win $1,000. If you’d like a chance to be our next winner, stop by your local Express office and talk to your staffing consultant today! Previous Post The First Job: Do Recent Graduates Stay or Go? Congratulations to Our Second Round of Job Jackpot Winners! Congratulations to Our First Round of Job Jackpot Winners! Poll: Is Business Ownership for You?